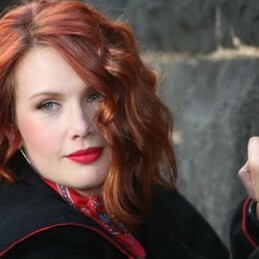 A songwriter from an early age, Clare Bowditch went public with her passions and talent in 1998, upon meeting John Hedigan, with whom she formed the band Red Raku, which released an EP. Upon that band’s folding, she started the Feeding Set with collaborators Libby Chow and Warren Bloomer. Together, this act would release the albums Autumn Bone and What Was Left, the second of which was released on EMI. In 2007, Bowditch — along with a slightly retooled Feeding Set released her third full-length, The Moon Looked On.